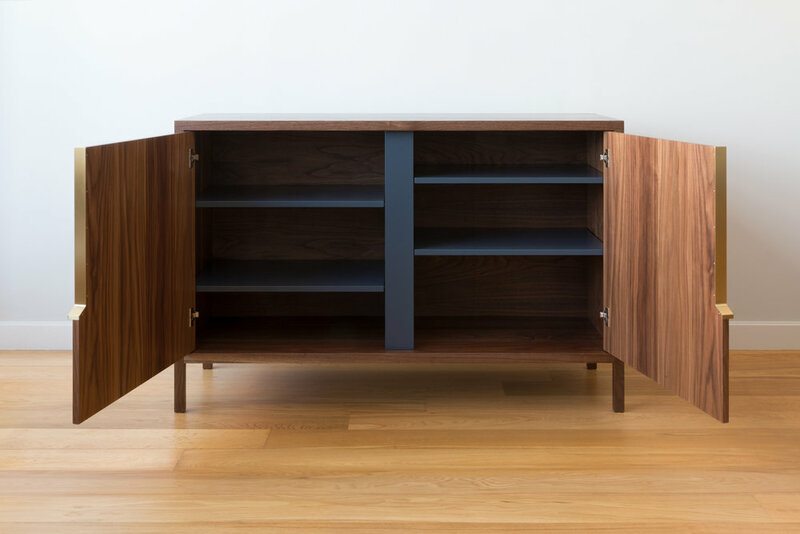 Of the many Halsey permutations, the combination of a hardwood exterior with a lacquered interior brings Halseys unique design into focus. This ability to create beautiful material pairings allows Halsey to blend into all sorts of environments or stand out with dramatic moments of color and texture. The Walnut exterior reveals just a hint of the cabinets interior. 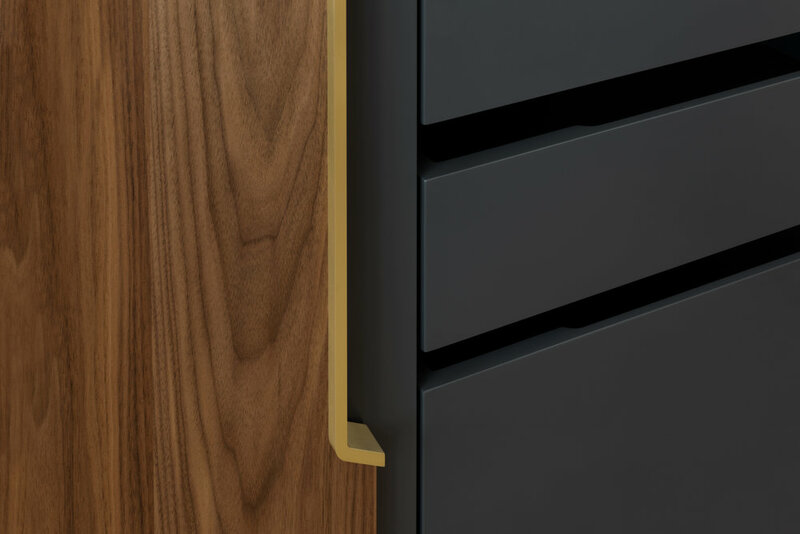 It can also be made more prominent by lacquering the entire case as seen in our Halsey Sans Cabinet. Halsey Prime can be tailored to any dimension by scaling or with additional double doors. Wood species, metal and additional finishes can be tailored.